Excelitas Qioptiq is an R&D powerhouse with hundreds of people around the globe devoted to the design and development of state-of-the-art photonics and processes. This ensures we are able to meet all our customers present and future photonic needs. Always with one eye on the future, ready to evaluate and develop new technologies to best meet the requirements of our ultimate customers, the end User, by providing them with mission winning equipment and capability. Today’s advanced defence and aerospace applications demand a partner who can deliver mission-critical performance, reliability and support. We are that partner, with over 50 years of experience in getting the job done right the first time. We work closely with our customers throughout the product lifecycle, while providing expert technical input at every step along the way. Our expertise in energetic safety systems, electro-optical modules and equipment, high-reliability power systems, sensors, defence lighting, frequency standards, and high-energy switching enables us to meet exacting application needs. Dismounted Vision Solutions – We are the world’s principal designer and manufacturer of infra-red, image intensified and fused night vision equipment. More than 100,000 individual night sights have been supplied to over 56 different countries for a wide range of defence, police, border security, coastguard, and search and rescue applications. We deliver a range of world leading weapon sights for a wide variety of platforms including individual assault weapons, light support weapons, crew-served weapons, anti-tank/anti-materiel weapons, and specialised sniper applications, using image intensifying, thermal and Fused imaging technology. Cameras for Ground Based Surveillance, Vehicle and Naval Platforms – We have a proud heritage of designing and manufacturing optical modules for defence and aerospace applications. We strive to create cameras that offer end users the opportunity to select the performance and sensor origin to match their application and its challenges. By being sensor agnostic we are able to address procurement issues that are related to restricted content. Our next generation product family of thermal cameras offer ruggedised, high performing solutions for tough, long range requirements. The portfolio of products includes systems utillising the latest optical and detector technologies in the medium wave infrared (MWIR), long wave infrared (LWIR) and the visible wavebands. Optronic Defence Modules – We offer state of the art design and manufacturing to provide precision solutions optimised for low cost, high volume production. We provide a complete in-house capability for the design, simulation, manufacture, test and qualification of advanced optronic modules for soldier & vehicle systems and equipment, Tactical missiles, Missile warning and targeting, Surveillance systems and Ground Vehicle Systems. Defence Sensors, Power & Energetics – from arming and fusing, rocket motor ignition and laser initiated ordnance systems to laser range finding, warning, terminal guidance and command and control modules. We provide the capability that enables critical mission winning systems and equipment. 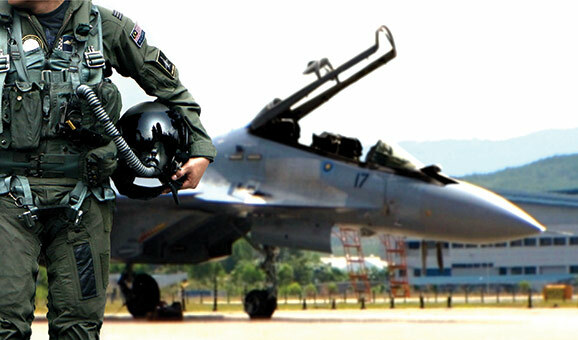 Avionic Displays – a respected international reputation for the design and manufacture of optical modules for Head-Up, Head-Level, Head-Down and Helmet-Mounted displays. We have been designing and manufacturing optical modules for Head-Up Displays (HUDs) for more than 30 years, fulfilling over 50% of the world’s demand for HUD optical modules. Space Technology – The only provider for OSRs and Coverglass to all the Wests satellites. Coverglass is micro sheet glass processed to be incredibly tough and designed to protect the photovoltaic solar panels from the harsh environment of space. OSRs or Optical Solar Reflectors are small mirrors that assist with the crafts internal thermal management. The space vehicle lighting systems we supply are widely used. Our high reliability RAFS (Rubidium Atomic (time) Frequency Standard) technology was developed specifically for mission critical space applications, providing 20 years of continuous, failure-free operations. STAS - STA Support – It’s not all about supply - support plays a vital part of what we do. Earlier this year UK Minister Harriett Baldwin made the announcement that an £82 million contract had been awarded to Excelitas. The award will see Qioptiq in St Asaph, North Wales provide support for surveillance and targeting equipment to the UK Armed Forces over the next six years. This will ensure vital equipment is available to UK personnel around the globe. As well as supporting equipment, we also look to support our service men and women. Qioptiq is a Gold member of Team Army. Sport is critical to the welfare and morale of our forces, yet taking part in sport is often expensive and in some cases, beyond the means of our personnel. Team Army helps to make sport more accessible by reducing the cost of participation as well as increasing the opportunity for our injured troops to take part in competitive sport. Our association with Team Army gives us the opportunity to support such events as Army golf, Sailing, skiing etc as well as other activities such as the Ice Maiden expedition. 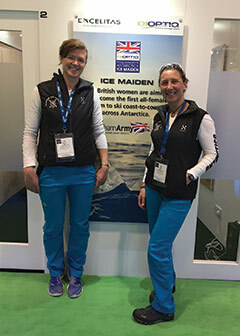 The Ice Maidens –Six British women (all serving in the British Army or Army Reserve) are aiming to become the first all-female team to ski coast-to-coast across Antarctica in November 2017. No team of women, from any nation, has completed this formidable challenge. It is the ultimate opportunity to show that women have the mental strength and physical endurance to operate in the most hostile environment on earth. The Ice Maiden team will cover 1,700km using muscle-power alone, pulling sledges and battling temperatures of -50°C and wind speeds of over 60mph during their three-month journey. Unsupported, and with only two resupply points along the route, they will carry all the supplies and equipment needed to survive for up to 600km at a time. The Aim is to encourage a new era of female expeditionary spirit, inspiring women and girls of all ages to take up a challenge, get active and get outdoors by promoting an active lifestyle, female teamwork and leadership. Like the Ice Maidens, we understand what it takes to get even the most complex project off the ground. From initial design to deployment, we consistently deliver innovative solutions. Our products are backed with exceptional design, production, and test capabilities and decades of systems integration experience. Every product, whether customized to exact customer specifications, ruggedized commercial off-the shelf (COTS), or build-to-print, is engineered to meet stringent performance requirements and operate in extreme environments. Because of our proven heritage of leadership supporting critical defence and aerospace applications we are a preferred supplier for World Wide aerospace and defence contractors, with solutions in Air, Land, Sea and Space - keeping our troops safe is our only mission.